With a grant from the Cissna Park Education Foundation, the fifth grade recently purchased a Precision School Balances and Brass Mass sets for the science curriculum. 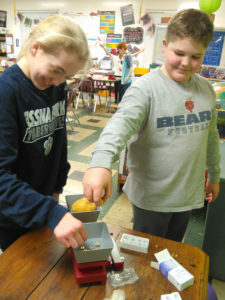 According to the teacher Rhonda Kollmann, the students can use the balances to compare the masses of various objects. The additional brass masses allow the students to calculate the mass of an item as well. 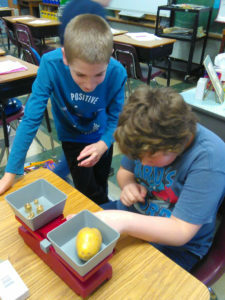 In their first science unit, the students had to identify the prized potato out of a group of potatoes by identifying and comparing assorted traits of the potatoes. 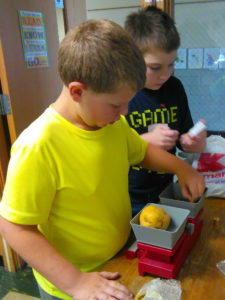 Photos show students measuring the masses of the potatoes in their search for the prized one.